After two years of freedom, Rose and Lissa are caught and dragged back to St. Vladimir’s Academy, where vampire royalty and their guardians-to-be prepare for a life fraught with danger. Rose and Lissa must navigate their treacherous world and never once let their guard down, lest the evil undead make Lissa one of them forever. But soon Rose finds herself gripped by temptation of forbidden love, leaving Lissa exposed to Strigoi attack. Now she must choose between the best friend she lives for, and the man she can’t live without…. 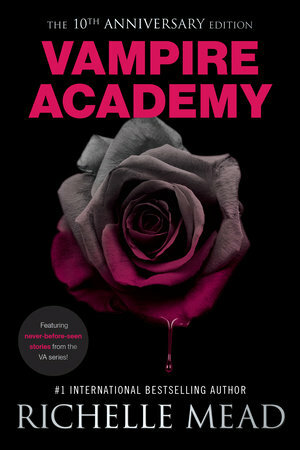 Richelle Mead Wrote 4 Never-Before-Seen Stories About VAMPIRE ACADEMY!